Back row, left to right: Coach Chris Smith, Dane Lucero, Jacob Zettle, Kyle Rockwell, Jake Pease, Julian Wellings, Gavin Knoblich, James Vidoni, coach Mike Etzell. Front row: Coach Aaron Lucero, coach Steve Hilborn, Hunter Smith, Jake Hoagland, Matt Hilborn, Nick Etzell, Joey Lippo, coach CJ Smith. Not pictured: Shane Losey and Ty Eck. Junior Varsity Back row, left to right: Coach Chris Smith, coach Steve Hilborn, Gavin Straub, Jacob Thurston, Johnny Carlson, coach Mike Etzell, coach Aaron Lucero. Front row: Drake Borden, Mason Grove, Ty Eck, Daniel Olson, coach CJ Smith. Not pictured: Ulrik Wells, Jered Brown, Jake Pease, Shane Losey, Jacob Zettle, James Vidoni. Sat., March 24........Vashon Island...........VIHIS..............1 p.m. 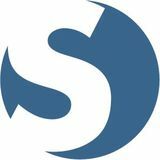 Mon., March 26......Sultan.......................SHS.................4 p.m. Wed., March 28......Klahowya..................KSS............3:30 p.m. Fri., March 30.........Port Townsend..........CHS................4 p.m. Mon., April 2..........Friday Harbor............FHHS.................TBD Sat., April 7............Cedarcrest.................Cpvl................1 p.m. Wed., April 11........Chimacum.................Chimacum.....4 p.m. Mon., April 16........Sequim......................SHS...........3:45 p.m. Thu., April 19.........La Conner..................LCHS...............4 p.m. Fri., April 20........Klahowya.................CHS....................4 p.m. Wed., April 25.....Port Townsend.........PTHS.............3:30 p.m. Fri., April 27........Chimacum................CHS....................4 p.m. Mon., April 30.....Klahowya.................KSS................3:30 p.m. Wed., May 2........Port Townsend.........CHS.....................4 p.m.
Back row, left to right: Marenna Rebischke-Smith, Thora Iverson, Veronica Crownover, Nicole Laxton, Scout Smith, Melia Welling, Chelsea Prescott, Ivy Leedy, Jenna Dickson. Front row: Mollie Bailey, Coral Caveness, Emma Mathusek, Lauren Rose, Katrina McGranahan, Hope Lodell, Mackenzie Davis, Sarah Wright. Wed., March 28......Klahowya.............KSS................4:15 p.m. Fri., March 30.........Port Angeles........CHS.....................4 p.m. Mon., April 2..........Blaine...................Pipeline Fields....1 p.m. (doubleheader) Fri., April 6.............Meridian...............CHS....................4 p.m. Sat., April 7............Forks.....................CHS....................1 p.m. (doubleheader) Sat., April 14..........Friday Harbor.......Linde Fields.........Noon Thu., April 19.........La Conner.............LCHS...................4 p.m.
Fri., April 20...........Klahowya.............CHS.....................4 p.m. Sat., April 21..........Lynden Christ.......LCHS....................Noon Fri., April 27...........South Whidbey...CHS......................4 p.m. Mon., April 30........Klahowya............KSS.................4:15 p.m. Wed., May 2...........Port Townsend....CHS......................4 p.m. Thu., May 3.............Sequim................SHS.....................4 p.m. Wed., May 9............Sequim................CHS.....................4 p.m. Fri., May 11.............Port Angeles........Dry Creek......3:30 p.m.
Back row, left to right: Coach Kyle Nelson, Uriah Kastner, Ethan Spark, Aram Leyva, William Nelson, Laurence Boado, Hunter Downes, Axel Partida, manager Peytin Vondrak, Brian Roberts. Front row: Sam Wynn, Teo Keilwitz, Pedro Gamarra, Derek Leyva, Dewitt Cole. Back row, left to right: Alex Jimenez, Ben Smith, Simon Socha, Dawson Houston, Ben Olson, Josh Robinson, Sage Downes. Bottom row: Zach Ginnings, Jonathon Partida, James Wood. Wed., March 21.....North Mason...Phil Pugh Stadium...4 p.m. Sat., March 24.....Klahowya................CHS.....................4 p.m. Tue., March 27....P. Townsend..Memorial Stadium...6:15 p.m. Fri., March 30.....Chimacum................CHS.....................4 p.m. Mon., April 2......Vashon Island...........CHS....................4 p.m. 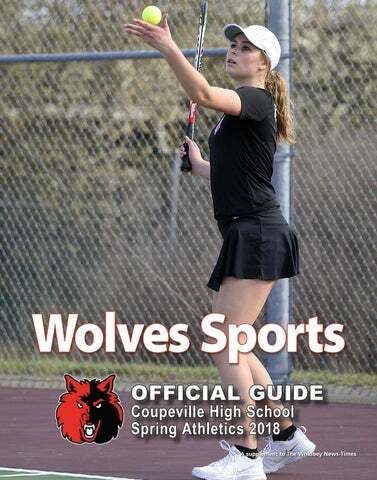 Sat., April 7........Forks.........................CHS.....................3 p.m.
Keep up with your favorite sports team and other Coupeville school activities by signing up to receive email alerts of schedule changes and other information at coupeville. tandem.co. You can download sports, drama, or any other school information directly to the calendar on your home computer and it’s updated automatically. Tue., April 10.....Port Angeles.......Civic Stadium...........5 p.m. Mon., April 16...Klahowya...................KSS....................4 p.m. Fri., April 20......P. Townsend..Memorial Stadium.....6:15 p.m. Tue., April 24.....Port Townsend...........CHS...................6 p.m. Fri., April 27......Chimacum....Chimacum HS.............4:30 p.m. Mon., April 30...Klahowya....................CHS..............3:30 p.m.
Back row, left to right: Ariah Bepler, Matt Stevens, Jakobi Baumann, Ryan Labrador, Emma Smith, Andrew Martin, Hannah Davidson, Thane Peterson, Lindsey Roberts, Greg Villarreal. Middle row: Ethan Clavette, Tanner Nevins, Cassidy Moody, Ja’Tarya Hoskins, Lauren Bayne, Chris Battaglia, Luke Carlson, Ashlie Shank, Kyle Burnett, Allison Wenzel, Sean Toomey-Stout, Jean Lund-Olsen, Christopher Ruck, Cameron ToomeyStout. Front row: manger Raechel Kundert, manager Madison Rixe, Moira Reed, Gabe Carlson, Cathrine Lahmon, Lucy Sandahl, Kyle Chernikoff, Mica Shipley, Willow Vick, Mallory Kortuem, Mackenzie Meyers, Maya Toomey-Stout, Zoe Trujillo, Abby Parker, Danny Conlisk. Not pictured: Jacob Smith, Henry Wynn, Raven Vick, Natalie Hollrigel. Thu., March 15.............Island Jamboree.....Oak Harbor High School.........3:30 p.m. Wed., March 21............NM, PT, Olympic.....North Mason High School......3:15 p.m. Wed., March 28............PT, Chim., Klahowya..Coupeville High School.......3:15 p.m. Thu., April 12...............Oly., Kingston, PT........Silverdale Stadium.............3:15 p.m. Sat., April 14................Cashmere Invitational....Cashmere High School..........Noon Wed., April 18..............Sequim, Oly., NK.............Sequim High School.......3:20 p.m. Thu., April 26...............Sequim, PT, PA.........Port Angeles High School......3:20 p.m. Your attendance at these events matters to the student athletes and community businesses represented here. Front row, left to right: Kameryn St. Onge, Maggie Crimmins, Heather Nastali, Claire Mietus, Payton Aparicio, Sage Renninger. Middle row: Tia Wurzrainer, Elaira Nicolle, Jillian Mayne, Nanci Melendrez, Zara Bradley, Avalon Renninger. Back row: Emily Fiedler, Jamie Masters, Megan Behan, Genna Wright. Mon., March 12..............Port Angeles..........Coupeville High School..............4 p.m. Tue., March 13...............South Whidbey.......S. Whidbey High School........3:30 p.m. Thu., March 15...............Sequim...................Coupeville High School.........3:15 p.m. Tue., March 20...............Kingston.................Coupeville High School.........3:15 p.m. Thu., March 22...............Klahowya...............Coupeville High School.........3:15 p.m. Mon., March 26..............Olympic..................Kitsap Co. Fair Grounds..............4 p.m. Tue., March 27...............Granite Falls...........Coupeville High School.........3:30 p.m. Fri., March 30.................Kingston.................Coupeville High School........3:15 p.m. Mon., April 9..................North Kitsap...........Coupeville High School.........3:15 p.m. Wed., April 11................North Mason..........North Mason High School..........4 p.m. Fri., April 13...................Chimacum..............Coupeville High School.........3:15 p.m. Sat., April 14..................Friday Harbor.........Friday Harbor High School............TBD Mon., April 16...............Sequim....................Sequim High School...................4 p.m. Tue., April 17.................Klahowya...............Klahowya Sec. School.................4 p.m. Tue., April 24.................Chimacum..............Chimacum High School..............4 p.m. Wed., April 25................South Whidbey......Coupeville High School..........3:30 p.m. Thu., April 26.................Klahowya.............. Klahowya Sec. School.................4 p.m. Thu., May 3....................Chimacum..............Coupeville High School.........3:15 p.m.